I hope this note finds you all well. 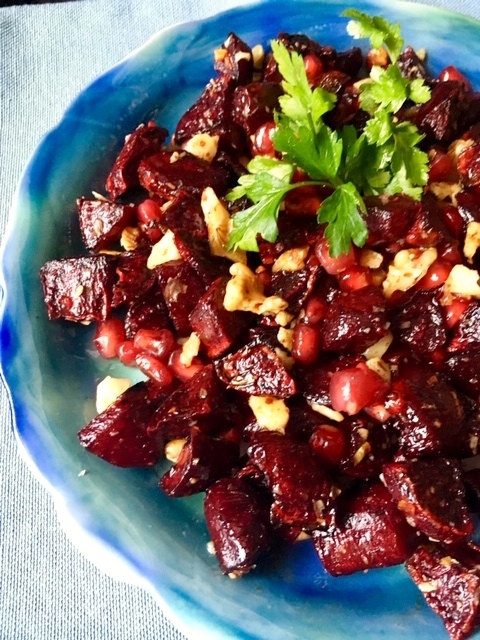 I wanted to share my upcoming events, a delicious Baked beetroot with garlic and pomegranate molasses recipe and our Mother’s Day 10 % off gift giving for Ozlem’s Turkish Table cookery book as below, I hope you enjoy them. 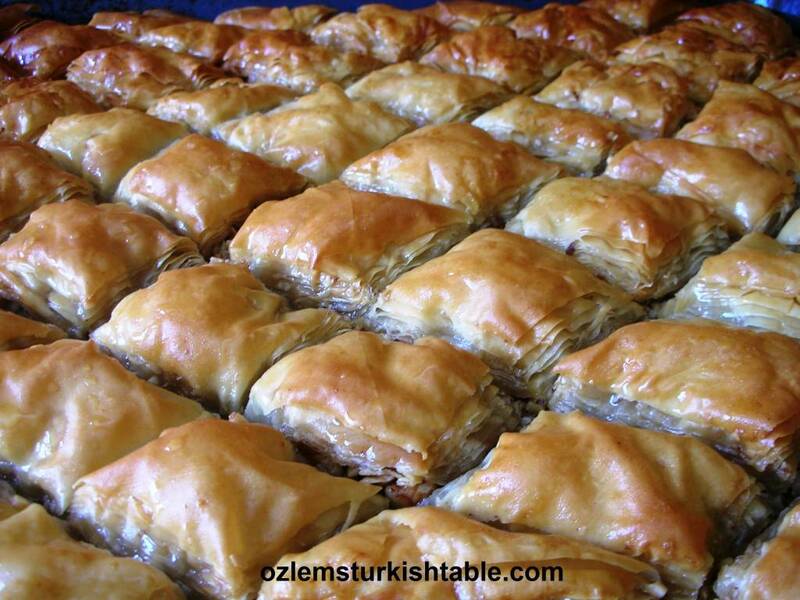 Ozlem’s Turkish Table Cookery Book – 10 % off – Order Here! Mother’s Day in the UK is on Sunday, 31st of March this year. 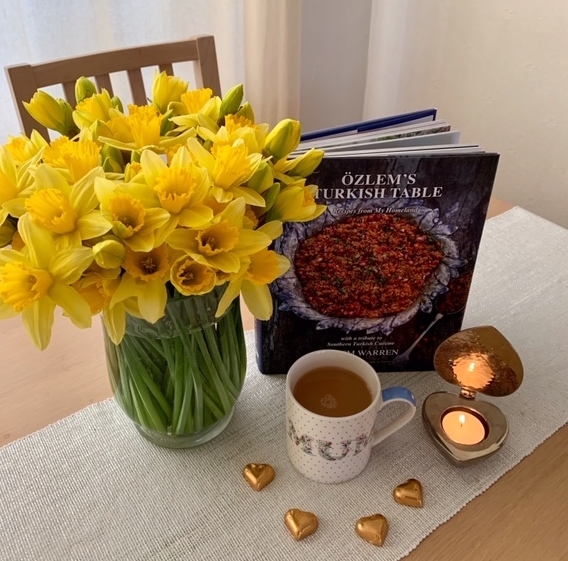 With this special occasion, we are delighted to offer 10 % off for the Signed copies of Ozlem’s Turkish Table cookery book, as Mother’s Day gift to all Turkish food lovers, starting on Wednesday March 13th, finishing on end March 19th, 2019, UK time. 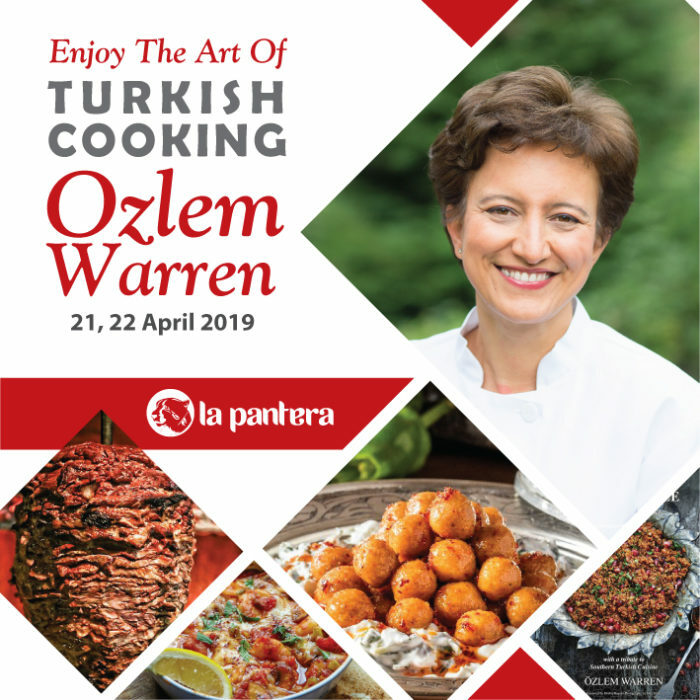 Please kindly enter the promo code: mothersday before the check out at this link, to apply the 10% discount on Ozlem’s Turkish Table cookery book. The promotion is valid worldwide and these orders will be shipped worldwide (including Turkey) promptly. 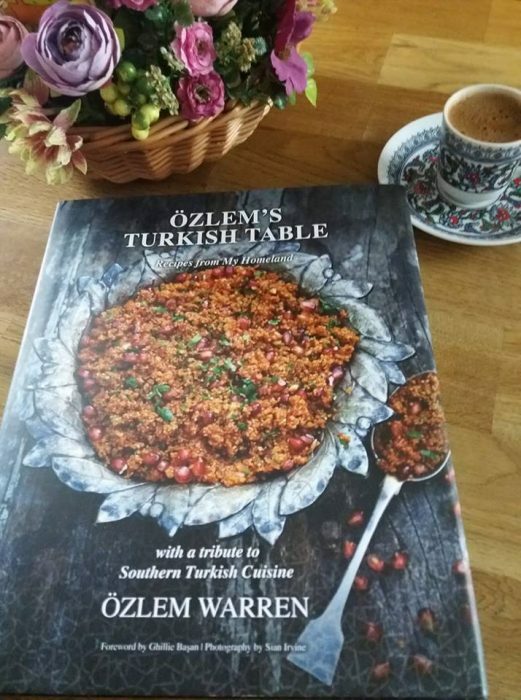 The last day to get a Signed copy of Ozlem’s Turkish Table with 10 % off is end March 19th, 2019, UK time. Hope you enjoy Ozlem’s Turkish Table cookery book as a special gift during the Mother’s Day, as well as a special gift to a foodie. 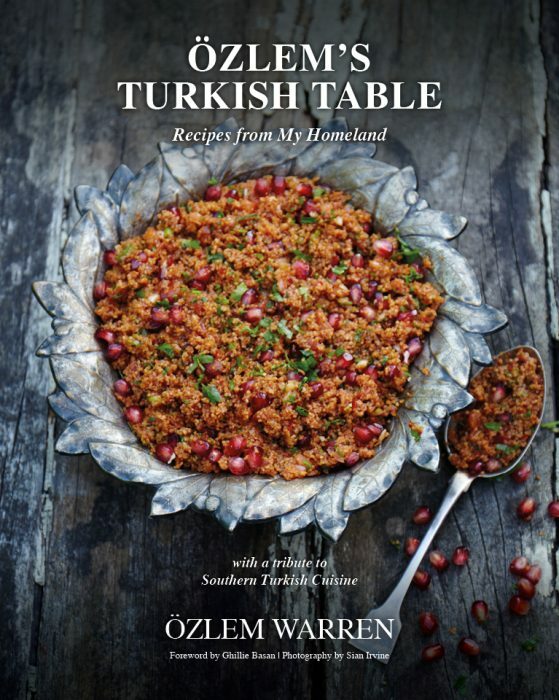 You can order a signed copy of Ozlem’s Turkish Table with 10 % off at this link; with our love and very best wishes to all mothers and Turkish food lovers. We love beetroot, pancar, as we call in Turkish and I have been making this delicious baked beetroots with garlic, walnuts, pomegranate molasses dish a lot recently. 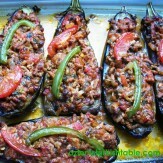 It makes a wonderful meze, also accompanies pasta, rice and grills beautifully. It is also vegan and gluten free, and so easy to make. Here’s my recipe, if you’d like to give it a go. Pour in the olive oil on a baking tray and stir in the beetroot, cut into bitesize chunks and chopped garlic to the tray. Coat them with the olive oil, season with salt and ground black pepper. Then roast in the preheated oven for about 40 minutes. Once cooked, let the beetroot & garlic cool in the tray, then transfer into a serving plate. Stir in the chopped walnuts and the pomegranate molasses, combine well. Decorate with pomegranate seeds and sprigs of parsley and serve. 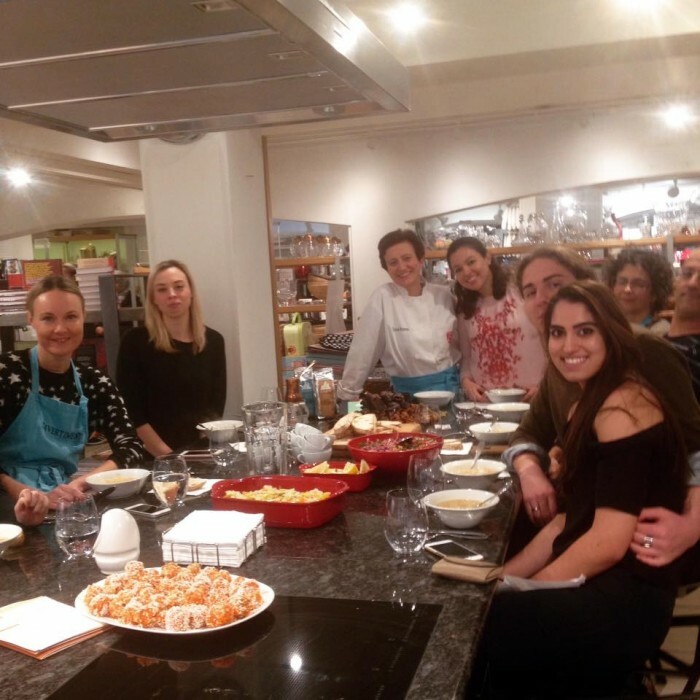 We had a delicious Turkish cookery class at the Divertimenti Cookery School in London on Jan. 29th with enthusiastic participants. 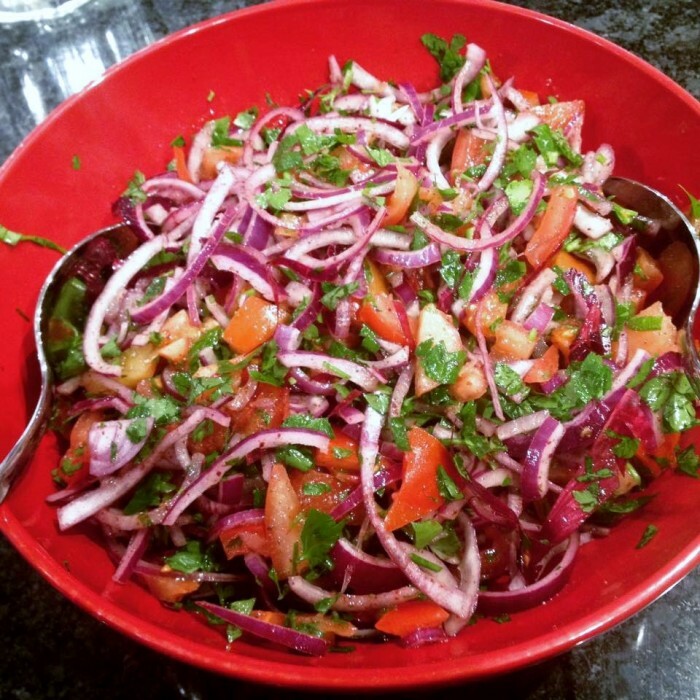 This vibrant and easy Piyaz Salad with red onions, tomatoes and parsley, flavored with sumac was a big hit from the class. It is a traditional salad at home, especially popular alongside Turkish meatballs, Kofte, as well as Lahmacun, Turkish thin pizza with minced meat and vegetables topping. I love the tangy sumac with the red onions in this salad, gives a refreshing, zingy flavor, so delicious. 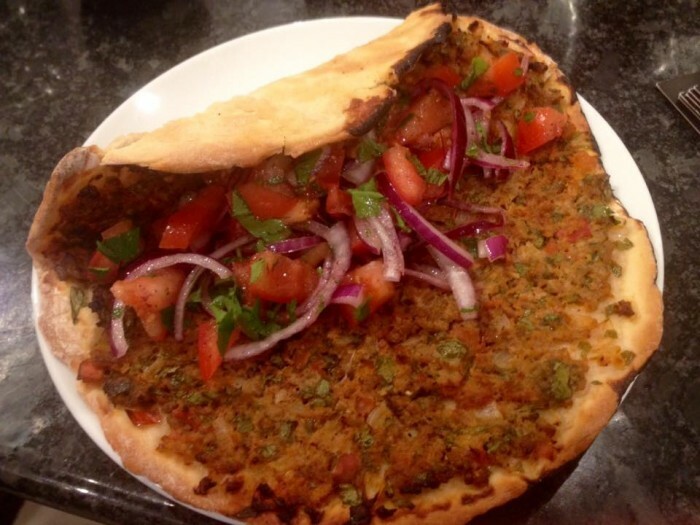 We also made Lahmacun, thin Turkish pizza with minced/ground meat topping at our Turkish cookery class – another big hit! 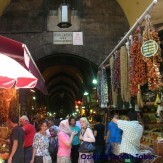 – We then placed some Piyaz Salad in the middle of Lahmacun and rolled to eat, as we do it traditionally at home. Such a wonderful combination. 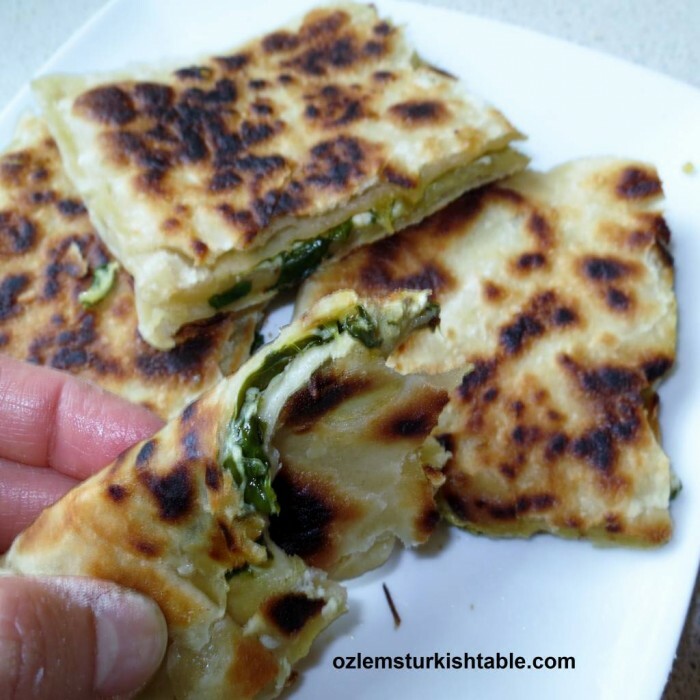 Here’s my Lahmacun recipe, if you like to make it at home. Wonderful participants of my Jan. 29th Turkish Cookery Class at Divertimenti Cookery School, London. This delicious Piyaz salad along with 90 other authentic, healthy, delicious Turkish recipes are included at my cookery book, Ozlem’s Turkish Table, Recipes from My Homeland. Signed copies of my cookery book can be purchased at this link. This vibrant and healthy Piyaz Salad gets ready in no time and it is so delicious. Red onions and tomatoes work very well with the tangy sumac; we tradionally enjoy this salad with Lahmacun, Turkish thin pizza with minced/ground meat topping, as well as Turkish meatballs. It is also a lovely salad served with cheese, olives and hummus. Rub and work sumac and the salt into the onion slices with your hands really well (this will soften the onions and help spices infuse in well). Stir in the chopped tomatoes, parsley and paprika flakes, combine well. Wisk together the extra virgin olive oil and lemon juice and pour over the piyaz salad. Season with more salt (if needed) and freshly ground black pepper. Serve Piyaz Salad with feta cheese, olives and/or hummus for a delicious spread. Piyaz Salad is also the ultimate accompaniment of Lahmacun and Turkish meatballs, kofte. 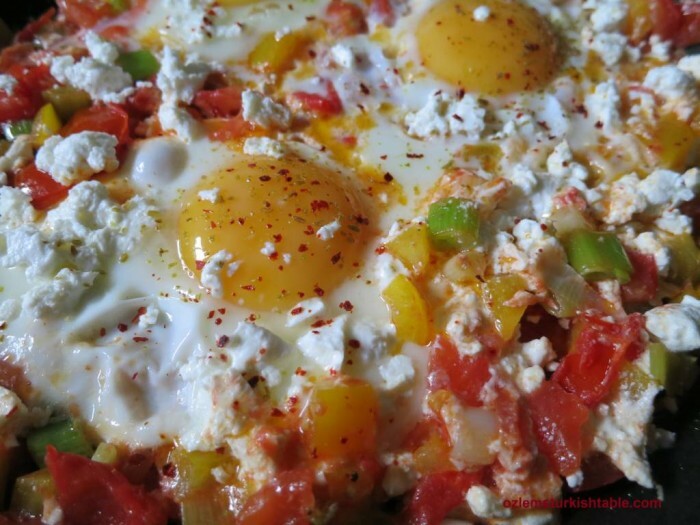 Eggs done different ways is a big part of Turkish breakfast, my favorite meal of the day. This time, we enjoyed eggs with tomatoes, spring onions, peppers with crumbled feta or Turkish white cheese or beyaz peynir over them. This is the unscrambled version of our beloved Menemen, Turkish scrambled eggs with vegetables. We love it as the children especially enjoy dipping their bread to that glorious runny yolk. The red pepper flakes over the egg gives a delicious bit of heat. Heat the olive oil in a large, frying pan. Stir in the bell pepper and cook for a couple of minutes, at low to medium heat. Add the spring onions and tomatoes. Season with salt and black pepper and cook for another 2 minutes. Create holes in the pan and crack the eggs, cook over low to medium heat for 2-3 minutes. Sprinkle the crumbled feta or white cheese around the egg and cook a further 2 minutes or so, until the egg white is set but the yolk is still runny. Season with salt and ground black pepper to taste and sprinkle red pepper flakes over the eggs. Turkish style brunch is our favorite meal of the day, especially at the weekends; it’s vibrant, refreshing and a feast to all senses. I am delighted to teach a vegetarian Turkish brunch cookery class at the Divertimenti Cookery School, London on Sunday, November 13th; 12 pm – 3.30 pm. 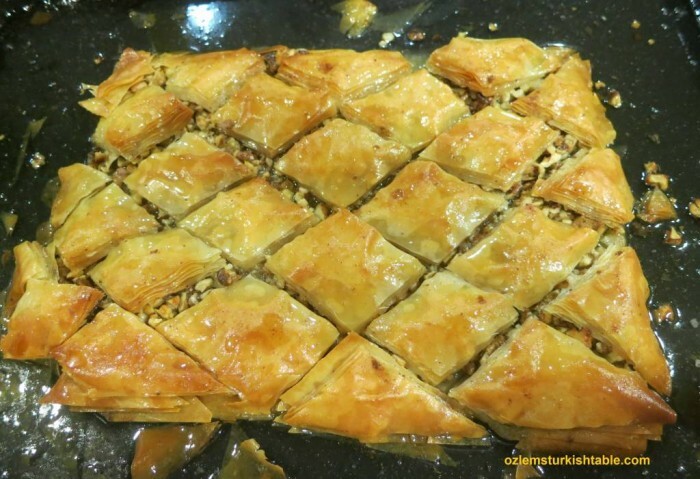 We have a feast of a menu including Anatolian flat breads with cheese & spinach, Gozleme, Olive salad with za’atar and pomegranate molasses, Turkish style scrambled eggs with onions, pepper and tomatoes – Menemen, Baklava with walnuts, Turkish Coffee and more. 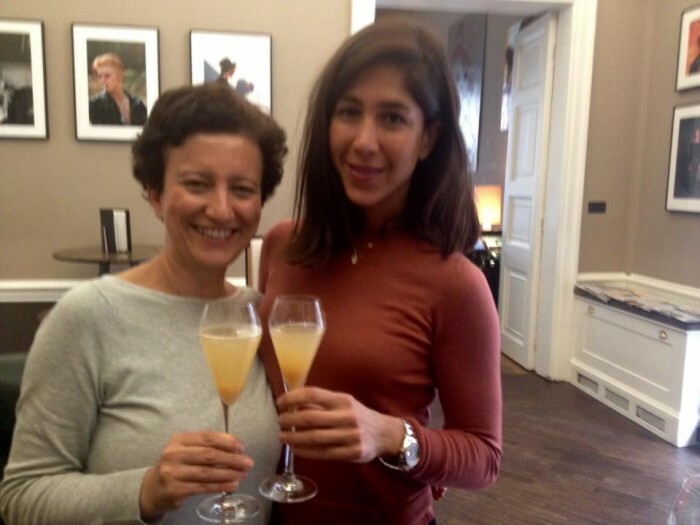 Testing Bellinis with Turkish bubbly Yasasin with Melisa Atay, from Melisa Fine Brands. 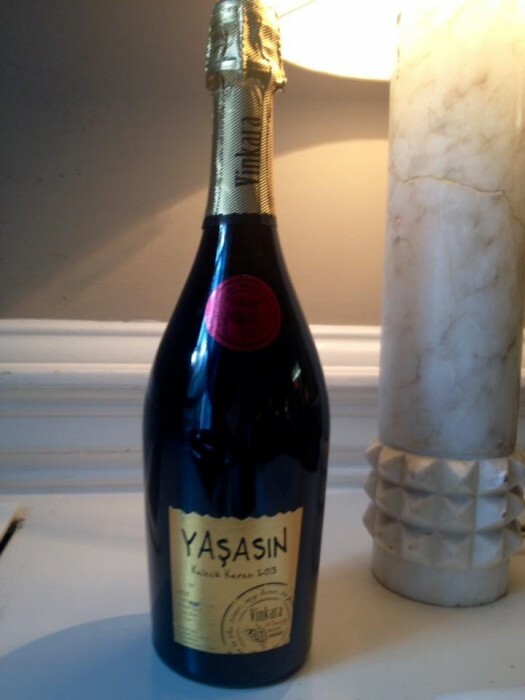 Morever, we will enjoy a delicious Bellini with the Turkish Bubbly, Yasasin, by Melisa Fine Brands, I am particularly excited about introducing and celebrating Turkish wine at our class. We recently had a delicious Bellini tasting with Yasasin Turkish bubbly in London, it is gorgeous and we are in for a treat! 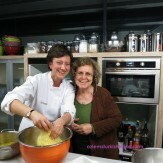 Participation is limited and booking is through Divertimenti Cookery School at this link, do hope you can join us!